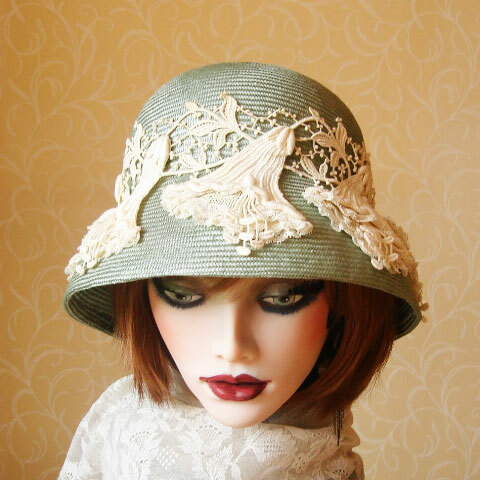 Fabulous pale green straw hat – a parisisal cloche with large brim, for an air of mystery! 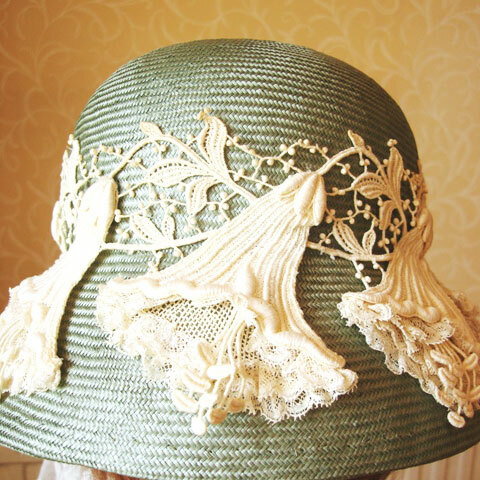 The embellishment is a hand made French vintage lily applique. The photos don’t do it justice, as all parts of the lilies are made separately. 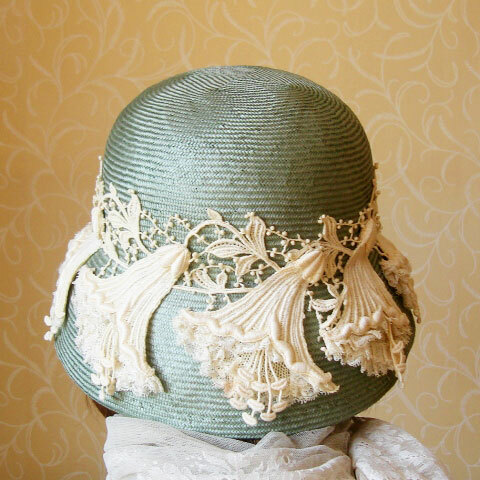 All hand sewn. 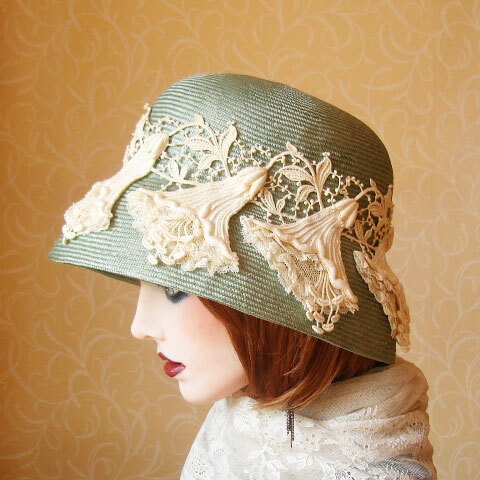 This pale green straw hat is one of a kind… as always. Medium, or 22 1/2 -23″, but please always contact me with your actual measurement to check.